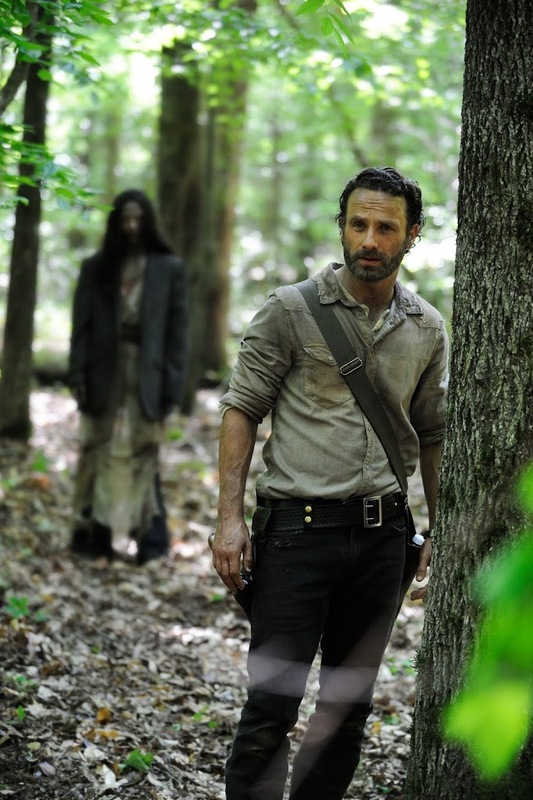 AMC has released the first photo from episode one of season four! We’re still a ways off from the premiere (date to be announced) – but I know from Norman Reedus’ Twitter and Instagram postings that he is back in Atlanta for filming. Though we weren’t entirely satisfied with the second half of season three, we’re looking forward to seeing where the show is headed this season. I have heard they are going to leap forward in time a bit, which I think is a good thing. I’m assuming the Governor (David Morrissey), will still be on the loose and looking for revenge. I hope the season doesn’t focus entirely on that, but it might be a good storyline to add tension. For now we will have to suffice with this tiny little tease for season four.